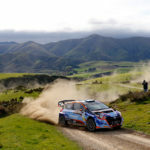 The dates for the first two rounds of the 2019 New Zealand Rally Championship have been announced, with the Otago Rally and the Rally of Whangarei to once again open the season. 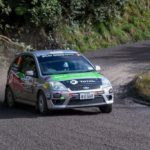 The series heads to Dunedin for the championship's southernmost round from April 12 to 14, while the championship's northernmost event will be three weeks later, from May 3.. Better, stronger and faster. That's the message from young gun Jaden Ransley as he prepares for his third season in the Toyota 86 Championship. 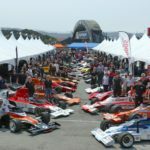 And the Neale Motorsport driver is aiming to be a championship contender in what will be the most competitive ever season for the category. 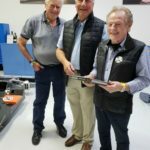 The multiple karting champion started his race car career in the Toyota..
Just a few short days after racing at Silverstone, FIA F3 were back in action at Misano this weekend. Back battling his rivals, Marcus hit the Italian track for what proved to be a weekend of two halves, which saw the Kiwi racer add another podium to his tally. 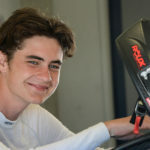 The 4.226 km long Misano World Circuit Marco Simoncelli, offers long..
CareVets Toyota 86 racer Arran Crighton is turning heads early in his circuit racing career and will enter the forthcoming Toyota 86 Championship as a potential title contender. 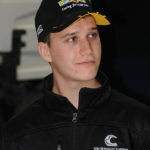 Having learned his race craft skills - like so many - in karting, the 20 year old has been mightily impressive since he switched from single seaters to saloons and is much..
Kiwi Michael Scott will fly the flag for New Zealand this weekend when the Toyota 86 specialist takes on the drivers in the Australian series at the new Bend Motorsport Park. Scott - who finished second in the New Zealand championship last year and third the previous season - will be run by International Motorsport, who employ him as an..
Category originals Kevin Bartlett, Howden Ganley and Ken Smith used a visit to a very special workshop in Salinas in Northern California on Wednesday evening to help officially launch the 16th annual SAS Autoparts MSC NZ F5000 Tasman Cup Revival Series. This season’s series again kicks off with a round at the ITM Auckland SuperSprint Virgin Australia Supercars meeting at..
Christchurch’s Dylan Thomson has added another three New Zealand Rallying titles to his CV after another maximum points score over the weekend at the Hyundai NZ Goldrush Rally Coromandel, the fifth round of the Brian Green Property Group New Zealand Rally Championship. 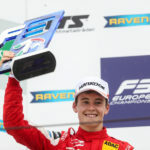 Thomson headed to the event, one he regards as his favourite of the season, knowing that a good..
As the FIA Formula 3 entered the second half of the championship this weekend, Marcus Armstrong was back turning wheels at the historic Silverstone circuit, for what proved to be tough outing for the Kiwi star. Fresh challenges Set in the heart of British countryside, the 5.901km circuit boasts a series of complex corners and thrilling high-speed sections, which has..
Queenstown’s Mike Sheehan has taken plenty of lessons away from his first North Island rally, the Hyundai NZ Goldrush Rally Coromandel, which was the fifth round of the Brian Green Property Group New Zealand Rally Championship, held over the weekend. 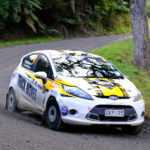 Sheehan headed to the event off the back of a strong second in class at the Catlins Rally South of..